José Ramón Lissarrague, Professor of Viticulture at Madrid’s Universidad Politécnica, is in charge of directing the cultivation of our vineyards. La Cañada del Navajo, 12.2 hectares of vineyards of Tempranillo, Cabernet Sauvignon, Graciano and other varieties which allow us to continue investigating and learning. All together, a real lesson. José Luis Asenjo,the winery’s technical director, and Silvia Burruezo, oenologist, have always been conscientious students of the professor. They have given these vineyards personality, based on effort, attention to detail, innovation, science, respect for the environment and hard work. We should also remember the vineyards of La Mata de la Culebra and El Viñazo which are more modest in origin but managed with the same degree of technical expertise. It goes to show that it’s also possible to do great things with a more traditional configuration of vineyard. 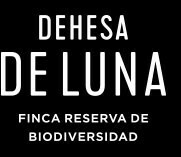 Of the 3,000 hectares which make up the Dehesa de Luna Biodiversity Reserve, only 83 hectares are used for growing vines; which is about 4%. We’re certain that none of the world’s prestigious wine regions would be able to implement a project like this; as a result, our wines cannot be compared with those from any other region in the world. The design of the vineyard has respected the physical geography of the Dehesa de Luna Biodiversity Reserve and the ancient holm oaks found there. And it’s not unusual to find insect-eating birds’ nests in the vines or come across red partridge chicks running after their mother. When you enter Dehesa de Luna Biodiversity Reserve and dozens of rabbits cross your path, while some predator flies with impressive wings just over your head. From that very first moment, you feel you’re entering a truly special place. Intended, on the one hand, for the production of wines of the highest quality and following sustainability and efficiency criteria (insulation of the building, temperature control systems, etc.) the winery is designed to ensure its perfect integration into the landscape. In its tasting hall, dining room or barrel room, you can taste unique wines in the middle of nowhere, hundreds of miles from traffic jams, pollution and stress.